What Are You Doing For World Elephant Day? This coming Tuesday is the third annual World Elephant Day, a day when people come together to honor elephants, to spread awareness about the critical threats they are facing, and to support positive solutions that will help ensure their survival. Within the near future, elephants may face global extinction in the wild. The survival odds for the world's elephants are increasingly grim. During the past four years, poaching for ivory has surged to unprecedented levels. It is estimated that 100 African elephants are slaughtered daily for the illegal wildlife trade. According to a June 2014 report by the Convention on International Trade in Endangered Species (CITES), 20 percent of Africa's elephants may be killed in the next ten years if poaching continues at current levels. Others believe that all African elephants may be extinct in the wild by 2025. It is estimated that fewer than 400,000 African elephants remain. There are less than 40,000 Asian elephants left in the world, making their official status "Endangered" on the IUCN Red List. Asian elephants face extensive loss of habitat, and are also killed for their ivory, meat, and body parts, while young elephants are removed from their natural environment for use in the tourism industry. We all can act in a multitude of ways, both locally and globally, to help protect elephants from the devastating impacts of poaching, the destruction of wilderness, the demand for ivory, human population growth and human-elephant conflict, and the social, economic, and environmental factors that fuel this tragic situation. Take action, spread awareness, and share effective ways to help save and protect elephants, and support the many commendable elephant conservation initiatives. There are many ways people can get involved to help elephants and raise awareness on World Elephant Day, and year-round. Support organizations that are working to: stop the illegal poaching and trade of elephant ivory and other wildlife products; protect wild elephant habitat; and provide sanctuaries and alternative habitats for domesticated elephants to live freely. Support healthy, alternative, sustainable livelihoods for people who have traditionally relied on elephants, wild animals, and natural resources. Support orphaned elephants by fostering one whose parents have been killed by poachers. Learn about indigenous cultures that have traditionally lived in harmony with elephants. Be an elephant-aware consumer. Never buy ivory or other wildlife products. Support a U.S. national ban on the sale of ivory. Contact your representatives and write to your country's leaders, supporting national and local legislation to ban the sale of ivory. Do not support organizations that exploit or abuse elephants and other animals for entertainment and profit. Learn more here. World Elephant Day was launched by the Elephant Reintroduction Foundation (ERF), a charitable nonprofit organization based in Thailand, and Patricia Sims, president, producer, and director of CanazWest Pictures Inc., a Canadian-based independent film production company. The ERF was founded in 2002 as a Royal initiative of Her Majesty Queen Sirikit of Thailand. 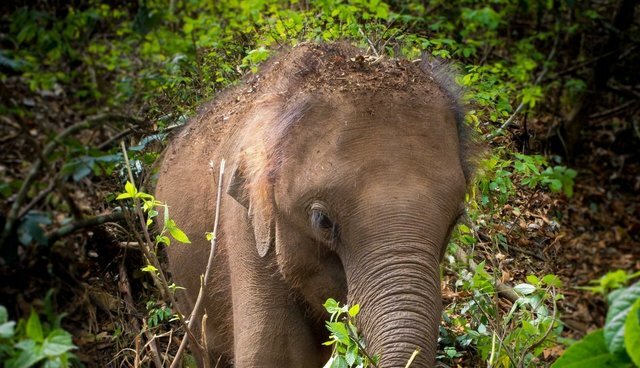 The Elephant Reintroduction Foundation manages three forest sanctuaries in Thailand where, so far, 93 formerly captive elephants have been successfully released back into natural habitat. For more information about World Elephant Day, high-res photos or video clips, please contact Jean Shirk at jean@shirkmedia.com or 510-332-4195 or get more information here.